Skip the big flashy gifts, all Mom wants is you for Mother’s Day! Mother’s Day is less than a month away. It is a special day to honour Mother’s everywhere. So take time out of your day to remember the woman who changed your diapers, burped you at odd hours in the morning and clothed and fed you every single day without complaining. Your Mom holds a special place in your heart and you hold an extra special place in hers. “Your Mom taught you about many life lessons when you were younger. She may have even taught you how to be responsible with your money and the importance of paying your bills on time. So for this Mother’s Day, honour her by sticking to the money lessons you learned as a child,” says Jeffrey Schwartz, executive director, Consolidated Credit Counseling Services of Canada. While you may think your Mom would love the most expensive mother’s day gift in the world, she would be content with spending some time with you. Your Mom would enjoy catching up on your life from your successes, failures and everything else in between. So go ahead and book some one on one time with your mother and she will feel like she won a pot of gold. If you prefer to go shopping for the perfect mother’s day gift; before you end up spending money you don’t have, create a realistic budget. Your budget will keep you from going overboard resulting in more debt. Nothing will melt a Mom’s heart more than receiving a gift made by her children or grandchildren. So go and get creative and make a homemade card or even create a poem. The options are endless. And if you do not want to spend an arm and a leg on your crafts, head to your local dollar store. There you will find an isle filled with tons of DIY crafts and at the fraction of the cost if you bought it at say a specialty craft store. Well not really, but you can pretend he is! If you love to cook, why not make a meal for your Mom. She will not only enjoy the break from the kitchen, she would enjoy tasting the food her son or daughter made for her while reminiscing about memories of your childhood. 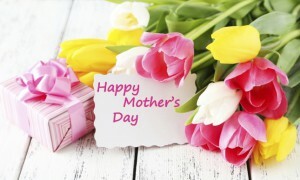 It’s always a good idea to get a head start on your Mother’s Day plans however when you are struggling to manage your household finances on top of wondering how you are going to pay your pile of debt – you may feel overwhelmed and unable to even think about how you will honour your Mom. If you are tired of living paycheque to paycheque and you want to break your cycle of debt today, give one of our trained credit counsellors a call now at 1-888-294-3130. 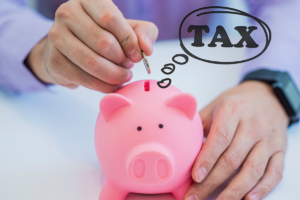 Give yourself some credit: Take advantage of tax credits!